Prior to my website launch, I became quite stressed and noticed that this stress was being released through my body – but only on my right hand side (the masculine side, relating to business endeavours and ambition). I did not share this with Elaine, but after my next treatment she said to me ‘It’s very strange but all your problems seem to be on your right hand side’. I’ve reflected on this a lot since then, and done some research on what the different sides of the body mean. I think for me personally that as well as the business connection, this also relates to the fact that I have been a lone parent for many years. Being a lone parent means that for much of the time you have to be both mum and dad to your child, and also means that you are running a household singlehandedly. Naturally this means that you regularly have to express ‘masculine’ qualities significantly more than you would if you were in a couple. Perhaps my right/left physical imbalance is an expression of the psychological and emotional imbalance created by me having to spend more time in my ‘masculine’ self than I would have ordinarily liked. The right side of the brain controls the left side of the body and vice versa – the nerves cross over between the head and the body. The left side of the brain is the logical, rational side, involved with daily work, assertiveness and decision-making, whereas the right brain is the creative and intuitive side, involved with home life, relationships, feeling and insight. This applies to the body, and particularly if one side of the body tends to get hurt more than the other side. The right side of the body represents the masculine principle in both men and women. It is to do with the ability to give and to be dominant or assertive; it is the authoritative and intellectual part of our being; involved with the world and work, our job or function in society, finance and business, politics and power. It reflects the feelings you may have about being a man and functioning in a competitive world or maintaining the breadwinning role: or about being a woman and having to work or be assertive at the same time as being a nurturing mother. This side reflects your feelings towards your own masculinity or masculine qualities, as well as your relationships with men such as father, brother, husband or son, and any conflicts you may be experiencing in those relationships, or towards men in general. The left side of the body represents the feminine principle in both men and women. It indicates the ability to ask for help, to receive, or to surrender; to nourish and care for others; to be tender and caring; to be creative and artistic; to listen to and trust our own wisdom. It is the inner world of the home and family, of healing and gentleness and nurturing. This includes how you feel about being a woman or expressing you feminine energy, especially in a male-dominated environment; or how you feel as a man connecting with the ability to be tender and loving, able to show more caring qualities. It also reflects your feelings about the females in your life, such as mother, sister, wife or daughter. Any conflict in these relationships, or towards women in general, may manifest on the left side. Finding the right balance between these two energies is not easy. In the last fifty years we have seen a shift from women being the principal care-givers and men being the principal money-makers to women making up a major part of the workforce and men spending more time at home. A woman making the change from mother to careerperson may feel that she is going against her essential nature – having to work late when her child is coming home early from school, or dealing with hormonal changes while giving a presentation at a business meeting. The resulting stress isn’t just due to overwork. The same applies to men. 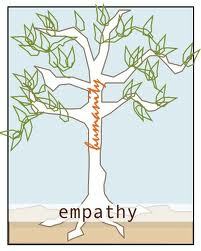 As their role is changing they are confronting the problem of how to get in touch with their inner feelings. How can men find the tender, caring, nurturing part of their nature when society says they are meant to be assertive and aggressive? These issues touch on deep questions of how to define our essential nature, and how to develop differing sides of our personalities. Having been impressed by the effectiveness of Reiki, I was inspired to try another form of complementary therapy so on Saturday I completed an Indian Head Massage course. The course I chose is devised by the Natural Therapy Studio and my tutor was a lovely lady called Pauline Johnstone. Prior to the practical course, I received a DVD of the techniques and a comprehensive manual for home study, covering all aspects of Indian Head Massage, including anatomy and physiology and information for professional practice. There were three of us on the course, which turned out to be the perfect number, and the practical was held in very pleasant surroundings at Pauline’s rural home. I was particularly drawn to Indian Head Massage rather than any of the other holistic therapies for a number of reasons. Firstly, as I mentioned in my Reiki blog, I have been on the receiving end of this treatment and found the stress-reducing and harmonising effects of this treatment invaluable for getting me through a difficult time. Secondly, Reiki is a very gentle therapy so I felt a more active and hands-on form of energy work would be a good complement. Thirdly, on a more global level I feel there is a serious energy imbalance in our society and that many of us have become too entrenched in the lower chakras (I also refer to this in the vegetarian blog). Indian Head Massage is a therapy which promotes harmony by stimulating the much-neglected higher chakras (see illustration at the end of this article), bringing them into balance with the over-functioning lower chakras. I’ll talk about this more in a moment, but first here’s a very brief history of Indian Head Massage. The technique we learn today was introduced to the UK by a man named Narender Mehta. Mehta studied over here in the 70s and was disappointed to discover that head massage was not practised here either in the barbers or as part of a full body massage. On completing his studies in 1978, Mehta returned to India and formulated the Indian Head Massage we now practise in the UK from a variety of techniques collected from all over India. 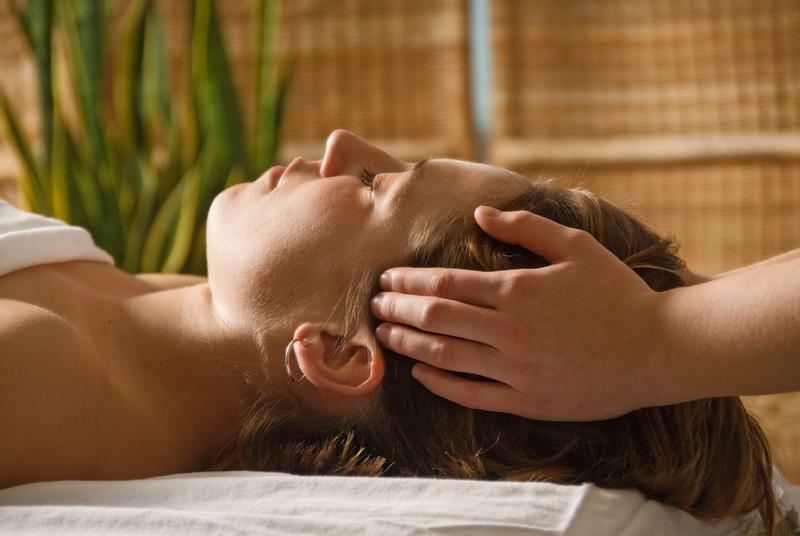 The Indian Head Massage is part of the ancient Hindu holistic medical practice of Ayurveda. Ayurveda means ‘knowledge of life and longevity’ and is a system whose main aim is prevention, working with negative energy before it begins to affect a person physically and emotionally. In Ayurveda, the belief is that we’re all beings of energy and that the mind, body and spirit are all connected. Therefore, Ayurvedic therapies address the whole system and work to resolve any imbalance in the life energy, known in India as prana. I’ve discussed the chakra system in depth in other blog entries (for an overview see here and for more detailed descriptions of each chakra, see here). If our chakras become imbalanced due to an accumulation of negative stress, this can result in blockages which can lead to emotional or physical conditions. The Indian Head Massage can prevent this by balancing the chakras, resulting in holistic wellbeing. Indian Head Massage is carried out with the client fully clothed (though preferably in a vest top and with no jewellery) and seated in a low backed chair. The use of oil is optional but in my experience, it does make working on the neck, shoulders and arms a little easier, particularly as some of the techniques are quite vigorous. If you prefer, a moisturising cream can be used. You then follow a sequence of different massage techniques of varying pressure – some gentle, some more invigorating – beginning with neck and shoulders, moving on to the scalp and finishing with the face. There are many benefits of this treatment for which I can personally vouch, having received weekly head massages over a period of months. The effects vary from person to person and will increase over time. Below is a list of the benefits you may experience from this therapeutic treatment. Alternatively, if you would like an Indian Head Massage treatment yourself, check out Terone Williams’ great website offering mobile treatments at www.soulrevive.co.uk. 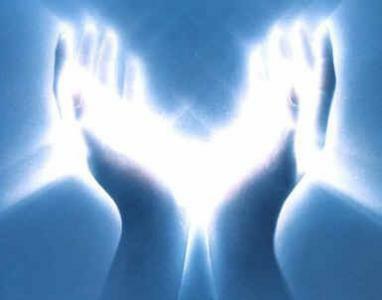 Today I would like to share some of my personal experiences of working with Reiki. As I mentioned in my previous Reiki blogs (you can find part one here and part two here), I trained for my 1st degree with York Reiki Plus and would recommend this course to anyone from the York area who is interested in energy work. Irene Forsyth, the Reiki master who runs the course, is a lovely woman, warm and down-to-earth, and the location is a gorgeous little mind, body and spirit shop with a fabulous name (‘The Zentist’) so the ambience is very cosy and laidback. Prior to the course, Irene sends you a comprehensive 170 page manual to help familiarise yourself with all aspects of Reiki, the content of which is discussed throughout the day. I spent three full days working through the manual in some depth so arrived on the practical training day feeling confidently informed. You are also sent a couple of CDs to guide you through the Hatsurei Ho daily energy exercises and the self-healing meditation mentioned in the last blog entry. These are also practised on the training day so you will have a thorough grounding in these important aspects of Reiki by the end of the course. Following the attunement is a 28 day period called the cleansing period. During this time, you are encouraged to give yourself a treatment every day and many students find themselves undergoing positive personal changes and spiritual growth which can be a very powerful and very rewarding time. During this time each person will experience their own unique reaction to the cleansing period. NO two attunements are ever the same. Depending on which form of Reiki of Healing Modality you choose to be attuned to, depends on how long this Cleansing period may last for, generally they vary from 7 days to 21 days in length. Reiki only works for the good of all, so during the cleansing period you may undergo a detox, that can often bring about changes in your life. The Reiki attunement can start a cleansing process that effects the physical body as well as the mind and emotions. Toxins that have been stored in the body may be released along with feelings and thoughts that are no longer useful. A process of purification prior to attunement is recommended to improve the benefits one receives. As the body processes the attunements they bring with them a deep cleansing and healing. Many people find they have increased intuition or creativity. Physically you may experience minor cold symptoms, headache, increased body discharges, etc. On an emotional level you may feel tiredness, have vivid dreams, surges of emotion such as anger/tears or old memories resurfacing which need to be resolved. Reiki will affect you in the way that is right for you and symptoms will pass in a few days. Traditionally a 21 day cleansing period follows Reiki one. Practising on yourself daily will maximise the benefits. Once you have been attuned to Reiki one the more you use the energy the stronger it will become. It is common for people to find the clarity and strength to bring positive change into their lives. It is traditional within Reiki to think in terms of a 21-day period of clearing out or cleansing, as the energy starts to work on you as its first priority. Common reactions are to have a ‘Reiki cold’ or other respiratory infection, an occasional surprising migraine, or to feel quite tired and sleepy for some days during the 2-3 week period after attunement. Emotional ups and downs are quite common, and you may find that you are seeing things in ‘Technicolor’ for a while, with colours taking on an amazing intensity. For some, Reiki leads to a period of dissatisfaction, leading you to think carefully about your life and your priorities. For the most part Reiki works gently and seems to have built-in mechanisms to prevent the ‘clearing out’ period from being particularly eventful. The ’21 day ‘ period is a bit of a Reiki myth, actually, because Reiki continues to work on you months and even years later, and it is possible that you will release things further down the line, too, not just in the first 21 days. Stronger reactions are more common in the first few weeks after going on a course, of you are going to have a strong reaction (such things are not compulsory!) though they can happen at any time, based on what is right for you. We receive what is right for us at any given time. We are all different. We received three empowerments on the day and my experience of each one was very different, and differed from those of the other people on the course. The first empowerment was very powerful and made me feel quite emotional. My head felt fuzzy and was filled with a violet colour and my heart felt like it would explode. The word I associated with this empowerment was ‘power’. The Left Eye of Horus represents abstract aesthetic information controlled by the right brain. It deals with esoteric thoughts and feelings and is responsible for intuition. It approaches the universe in terms of female oriented ideation. We use the Left Eye, female oriented, right side of our brain for feeling and intuition. The eye of Horus, was originally known as the wadjat, but was also called the wedjet, the Eye of the Moon, and later the Eye of Ra. It became a powerful symbol that was used on amulets for protection against evil and was thought to have healing powers. In the present day the eye of Horus is still a powerful symbol that can be offered as a gift in the form of jewellery, for example, that shows your love for another person. In particular it has connotations of selflessness and dedication as well as the more general functions of good luck and warding off evil forces and improve health. Having done a lot of personal development work over the last fifteen years, I feel that mentally and emotionally I am ‘pretty sorted’ – although I wouldn’t be so bold as to say completely sorted, as we all have work to do on ourselves – personal growth is a lifelong adventure! However I would say that I’m very in tune with my authentic self, i.e. I know who I am, what my life purpose is and what I need to feel fulfilled and serene. On occasion, however, I do struggle with self-doubt – am I really on the right path? Is this really the right thing to do? Am I just kidding myself? – and as a particularly sensitive person, I have to be careful not to become too overwrought when faced with stressful situations. Emotionally and mentally, then, I feel that the empowerments ‘fine-tuned’ me, resulting in my feeling more balanced and relaxed and confirming for me that I am indeed on the right path, both personally and professionally. Physically, I’ve felt some more powerful ‘retuning’ occurring, particularly around my sinuses (always a tricky area for me) which has resulted in a few headaches, and in my legs, which I have felt ‘vibrating’ in a sometimes quite disconcerting way. As my work is very sedentary, the energy in my legs has probably become somewhat static over the years, so I’ve been using Reiki on myself to get the energy moving again which so far seems to have helped. I’ve also done several Reiki treatments on others, during and since the course, and have been amazed at how powerful this work is, as have been the recipients, some of whom were rather sceptical prior to their Reiki session. For instance, I worked with someone who is going through a number of difficult life events at the moment, and felt a tremendous amount of heat coming from her, particularly around her head. As this person has also been experiencing physical symptoms in her right arm and her left foot, I dedicated more time to these areas, and she reported to me the following day that throughout the night, she could feel something she struggled to describe – “not exactly pain – maybe a little achy, but strange, a trembling or vibrating maybe?” – in these very spots. I also worked briefly with a woman who suffers from M.E. and found that though the top of her body was very hot, she was effectively dead, energy-wise, from the waist down. Her legs have caused her a lot of suffering due to her illness, so it will be interesting to continue working with her and see if her condition improves through Reiki treatments. In contrast to this, I worked with a couple of women, one who is very spiritual and another who feels fulfilled and happy in her life, and felt a gentle breeze – and a huge aura – around the whole of their beings. The second woman also reported that when I worked on her crown chakra, it felt like ‘the top of my head was stretching upwards – like I had a really long head!’ and when I treated her feet, she commented that it felt ‘like I was sinking into really soft sand’. All of the people I’ve treated so far have felt very relaxed. As I haven’t got a treatment table yet, I’ve had to work with people sitting on a kitchen chair but despite this a couple of them have still almost nodded off. I also end up feeling very relaxed myself when I’m giving treatments and also very hot – the heat coming through my body when I connect with the energy is incredible and one of my friends actually opened her eyes when I placed my hands on her navel area as she couldn’t believe that amount of heat was emanating just from me! I realised very quickly that I need to tie up my hair and wear cool, loose clothing when working with Reiki. It has also been a surprise how quickly the time goes when I’m giving a treatment. One of the reasons I never previously considered learning physical therapies was because, frankly, I thought I would find it boring! My work has always revolved around communication with words, written (journalism) and spoken (counselling), so spending an hour with someone in complete silence never really appealed to me. However, I find giving Reiki treatments totally absorbing – the time simply flies past and if it wasn’t for other commitments, I could quite happily continue working way beyond the prescribed hour. As I said in my first Reiki blog, this is just the beginning of my journey into a whole new exciting aspect of universal energy. My aim is to move on to the second degree course in the coming months and in the meantime, I will keep you all updated on my experiences with Reiki. I would also love to hear about any experiences you may have had so please feel free to leave a comment or to contact me via my website at www.empathicguidance.com. For those of you who have never heard of Reiki, or who have heard of it but are not quite sure what’s involved, I’m going to share some of the knowledge I’ve gained during my recent training. The Reiki 1st degree course I studied with York Reiki Plus supplies a comprehensive manual written by Taggart King of Reiki Evolution (who also runs this course online, if you are not in the York area), plus two CDs to guide you through the daily energy exercises and self healing mentioned below. There are a number of translations of the term ‘Reiki’ but the one which resonates with me most is probably the most frequently used and is a term which I already use in my work – ‘Universal Life Energy’. The Japanese characters which make up the word ‘Reiki’ can be seen in the image above. Reiki practice is about channelling this universal life energy to bring about a state of balance in the body’s natural energy, fostering holistic healing and well-being. Reiki originated in Japan and was developed by Mikao Usui (1865-1926). Reiki combines the spiritual teachings of Tendai Buddhism with the energy work of Shentoism and Usui originally intended it to be a simple system for self-healing, personal development and spiritual growth. He saw Reiki as a path to enlightenment and a way to ‘achieve personal perfection’. The Reiki system I practise is rooted in the original Japanese system developed by Usui. The more complex Western system which many practitioners learn was developed by Mrs Takata in the post-war years, when the West were less kindly disposed towards anything Japanese. 3) Receive Reiju empowerments regularly. Empowerments are a series of rituals which open you up to Reiki (the universal life energy), allowing you to channel that energy for the benefit of yourself and others. 4) Practise Hatsurei Ho – the daily energy exercises which enhance your ability to channel Reiki energy, through clearing and balancing your system, and helping to develop your intuition and your sensitivity to the energy flow. 5) Practise self-healing by giving yourself regular self-treatments with Reiki. You can do this through meditations or through placing your hands on yourself in the prescribed positions. Finally, of course, you can share the relaxing and healing benefits of this energy by practising on other people. Once you have undertaken your Reiki 1st degree course, then as well as practising the above teachings, you will strengthen your connection to Reiki through regular work with others. You are currently browsing the archives for the Complementary therapies category.